This Saturday 28 April, Evan Rogister conducts the premiere a new production of Eugene Onegin at Royal Swedish Opera in Stockholm. Directed by Vasily Barkhatov, with Karl-Magnus Fredriksson in the title role and Cornelia Beskow as Tatiana, further performances will be taking place until the beginning of June. 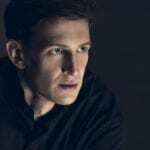 This season has already seen Evan’s debut with the Metropolitan Opera (The Magic Flute), plus performances of Richard Strauss’ Salome at Deutsche Oper Berlin. This summer, he makes his anticipated Bolshoi Theatre debut conducting La bohème, directed by Jean-Romain Vesperini. Looking further ahead, Evan will conduct Göteborg Opera’s first ever Ring Cycle commencing at the start of the 2018/19 season, culminating with Wagner’s Götterdämmerung in 2021 to celebrate the 400th Anniversary of the city of Gothenburg. Performances of Eugene Onegin at Royal Swedish Opera, Stockholm, will take place on 28 and 30 April, 7, 10, 16 and 22 May, and 2 June 2018. Find out more on the Royal Swedish Opera’s website. Evan in conversation with director Vasily Barkhatov, Karl-Magnus Fredriksson, and the house’s dramaturg Katarina Aronsson.